Words by Kevin Doocey on July 24, 2018 . Every summer over the past 10 years has produced nothing but frustration as a Newcastle United supporter. Mike Ashley’s ownership has numbed any real expectation of big-name signings, or the dare to dream. His tenure has been nothing short of a disaster, yet somehow, he finds himself with the most decorated manager the club will likely ever appoint - you’d think it’d make sense to back him financially, having witnessed the considerable success since being appointed on a new three-year deal back in 2016. But why would he do that? The club surivived the threat of relegation last season without considerable spend, meaning, in Ashley’s eyes, they will do the same this year again without the need for a respectible transfer budget. As things stand, Newcastle United and Rafa Benitez will be parting ways when the Spaniard’s contract expires next season. It is incredible that - even by his own standards - Ashley would let such a disastrous situation materialise. Yet, here we are, just weeks out from the transfer window closing and Newcastle’s squad is illprepared for the upcoming domestic season. Events surrounding NUFC have been well covered by various titles over the past year. Local publications, all the way to the national press have pumped out article after article on all things Newcastle United. In an ever challenged industry, journalism has gone ‘all-in’ on digital. Whether it is the rise of the infamous pay-wall, or a tedious ad-infested articles - the future of the physical paper is - sadly - very much under threat. As a reader, I’m happy to encounter the odd advert or two when reading an article, but some titles are beginning to take the biscuit with both their output and presentation. The number of articles being shoveled out has increased five-fold, while it seems the ads present in each article has followed suit. When one isn’t being promped with a screenful of ads, they’re being asked to take a survey in order to read the content. The worst part about it all, is the content itself is feather-light in quality & substance. We understand that revenue must come from somewhere, but this approach is doing more damage than good. It’s unbearable, and the exact reason I’ve stopped reading any local publications. If we track back a few months, you will have been greeted with the promises of a grand budget for Rafa to spend this summer. There was an almost ironclad guarantee from some local journalists that Newcastle United would smash their transfer record. Their ‘sources’ were promising significant investment under Rafa and that Ashley’s new hands-off approach would ensure smooth running of the club. Well, how that did that turn out, eh? Some papers/scribes have a lot to answer for. There shouldn’t be a boardroom battle. Rafa Benitez should have a considerable transfer budget to make his way through. He should already be training & coaching a handful of top targets that he picked out months and months ago. The man gave up his holiday to focus on recruiting for Newcastle United, but in return, he has been insulted with the inaction of the board on the transfer front. We know that Ashley won’t release any significant funds unless Benitez signs a new long-term contract, while Rafa (rightly so) won’t pick up a pen until he has been allocated a decent budget for the season ahead. That’s where things are at the moment. 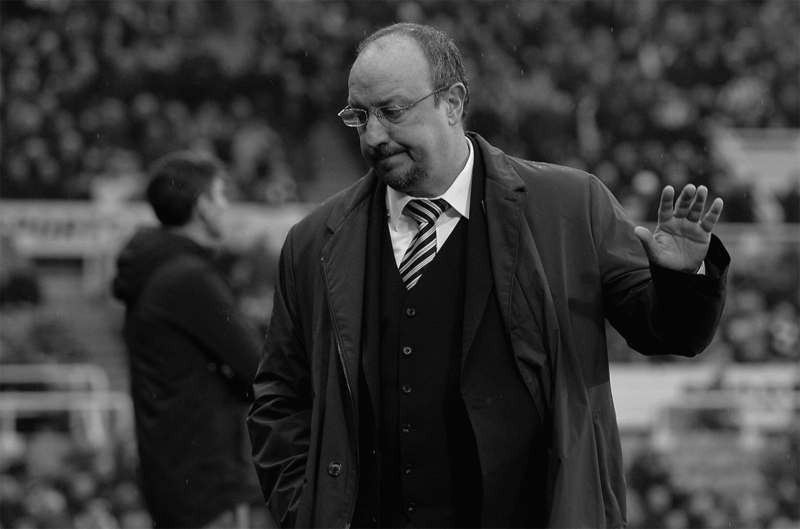 There is a stand-off, and as of now - you can be sure that Benitez is heading for the exit when his contract expires. Whilst loyal and clearly enamoured by NUFC and the potential of the club - it’s reported that if Benitez was to walk right now, he would be forced to shell out close to £6m. For me, that clause is the only thing keeping him at the club. He will have a good choice of clubs if/when he does depart, you can be sure. It seems like I’m writing the same articles on an annual basis - lack of transfer activity, confusion blah blah. I’m sick of reading clickbait headlines, and tired of the usual caper from Ashley & co. Benitez doesn’t look like he’ll be backed financially this year and barring the emergence of a genuine new owner with considerable resources I think we best enjoy the final days of Rafael Benitez as manager of Newcastle United. Feel free to vent your frustrations in unison with yours truly on Twitter @KevinDoocey. Spot on. what a disaster this is.